Former Democratic presidential candidate Hillary Clinton is considering running for New York City mayor, according to a report by TMZ. 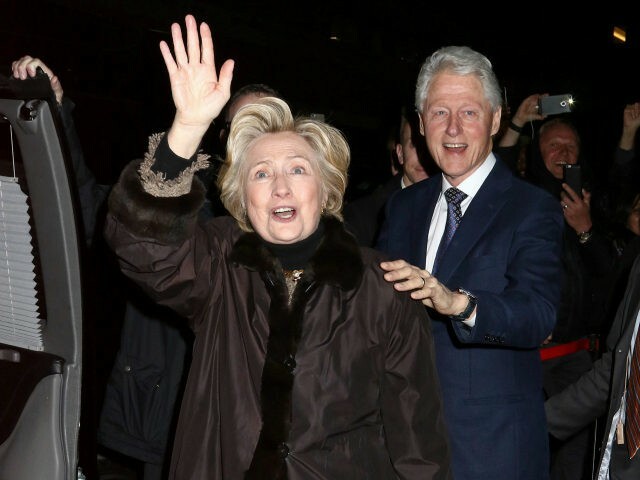 Rumors of Clinton running for mayor to resurrect her political career after a humiliating defeat in November have been swirling around in New York political circles since the beginning of the year. But, despite the growing speculation, Clinton has not yet publicly commented whether she would mull a challenge against the incumbent, Bill de Blasio. However, a top Clinton aide, Neera Tanden, shot down reports of chatter circulating in New York political circles in January. As “ Hillary for Mayor” signs began appearing around the big apple, the latest Rasmussen poll released last week found that 58 percent of likely voters don’t want Clinton to run for mayor of New York, compared to just 23 percent who want her to run.